Popular phone number search app, Truecaller and telecom operator, Bharti Airtel announced that their “Airtel Truecaller ID service” has now over has crossed 1 million paid subscribers. “Since the launch of our partnership with Airtel to introduce an offline caller ID for feature phones less than one year ago, the user base has grown significantly to over 1 million paid subscribers in India,” Truecaller said in its blog post. “This is a big milestone for us, and we are committed to bringing these type of innovation around the world,” the company added. Truecaller’s offline ID service is bridging the digital divide between urban, semi-urban and rural regions of India enabling feature phone users to enjoy the smartphone-like experience without data connections. It also ensures safe and efficient communication between people as per the Truecaller. Airtel Truecaller ID is a subscription-based service to help identify phone numbers even in the offline mode. The service retrieves the caller information from the data in Truecaller’s database and sends the same as a Flash SMS before the call hits the phone. The feature phone users in India using Airtel SIM card can subscribe to “Airtel Truecaller ID”. It is available for both prepaid and postpaid subscribers of Airtel who use feature phones. The feature helps those with basic mobiles to identify spam calls without always requiring a data connection. Unlike the regular app, the Airtel Truecaller ID service, however, is available to Airtel subscribers only and currently limited to the Indian market. Airtel and Truecaller had partnered to launch the offline caller ID service in April 2017 for feature phone users. The subscription service is aimed at those users who do not have access to data. 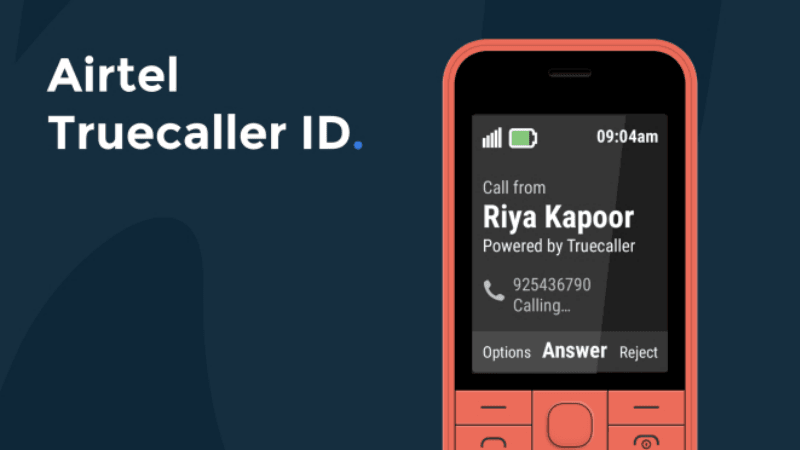 Truecaller ID has helped the app maker tap into the sizable feature phone market of India, which so far remained out of reach for many popular app developers. Recently, Truecaller has launched UPI-based mobile payment service Truecaller Pay in partnership with ICICI Bank. With this, you can send and receive money directly from the Truecaller app though all banking and transactions are handled by ICICI bank. can someone post review how does it work? Where is link of FAQ and activation process on airtel.in? how to activate it ? ?